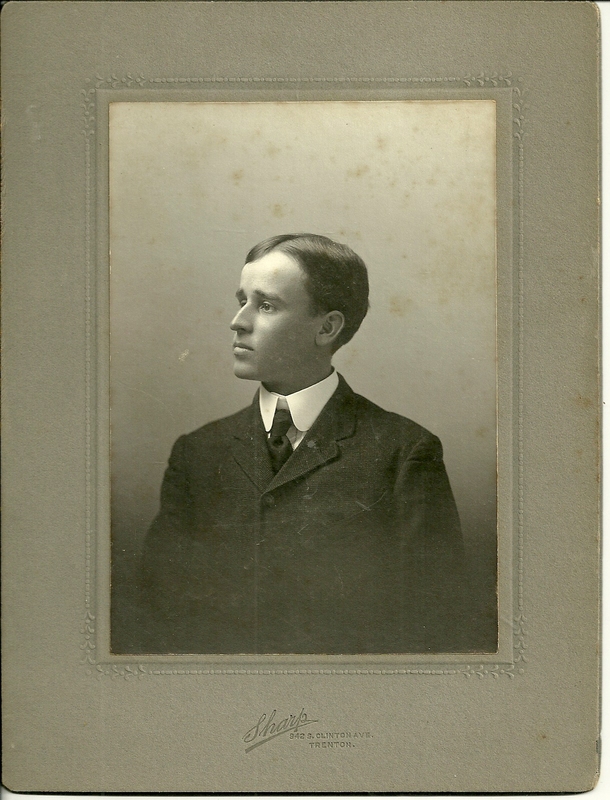 Photograph of an earnest young man identified on reverse as Frank Hinson of Pennington, New Jersey. 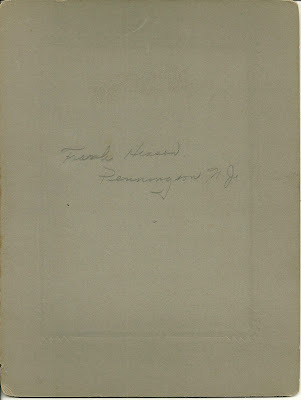 Searching online, I haven't yet found a Frank Hinson in Pennington, New Jersey. I found a prospect in Philadelphia that could be our Frank, but I can't be sure. His name could be Franklin, and Franklin could be a middle name rather than a first name. 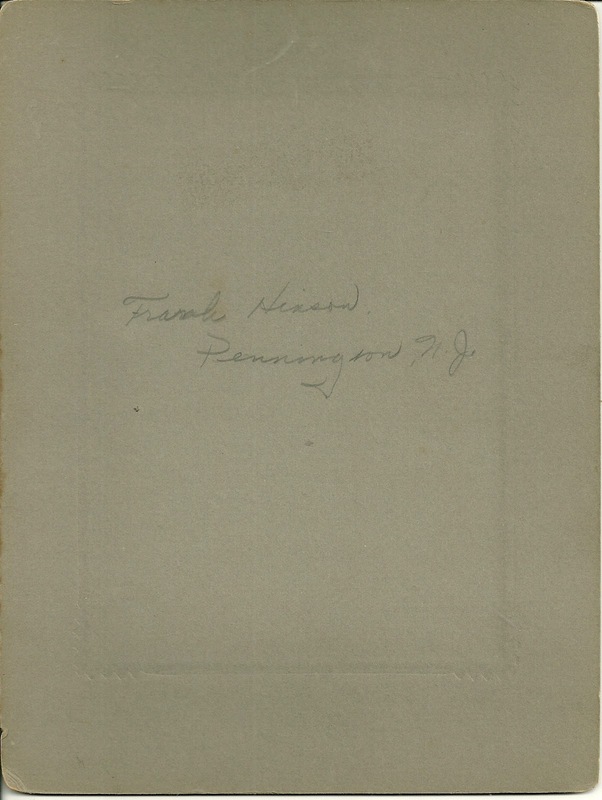 If you have any insights into the further identification of the Frank Hinson in this photograph, please leave a comment in the comments box or contact me directly. 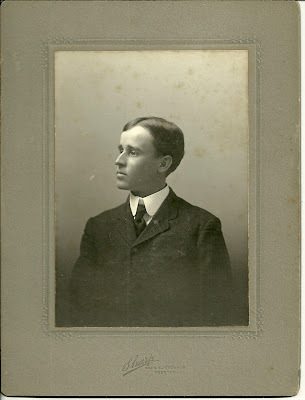 I'd like to be able to flesh out this photograph with a bit of genealogy and a brief biography.